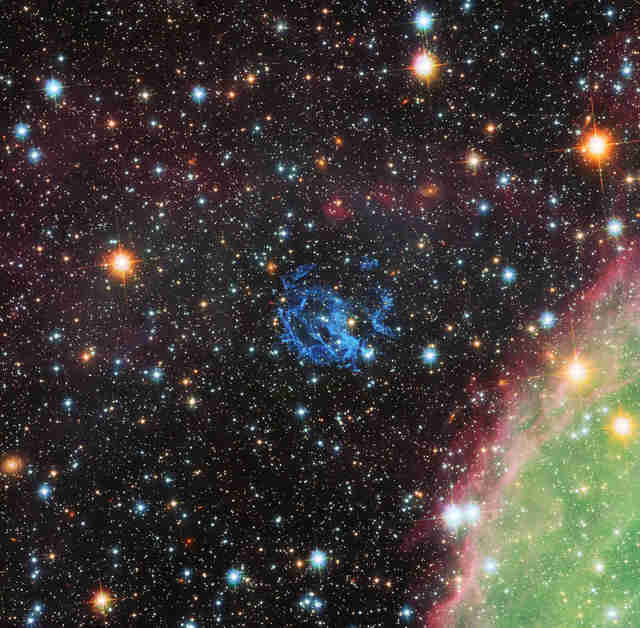 Supernova remnant 1E 0102.2-7219 and surrounding region | ESO/NASA, ESA and the Hubble Heritage team (STScI/AURA)/F. Vogt et al. 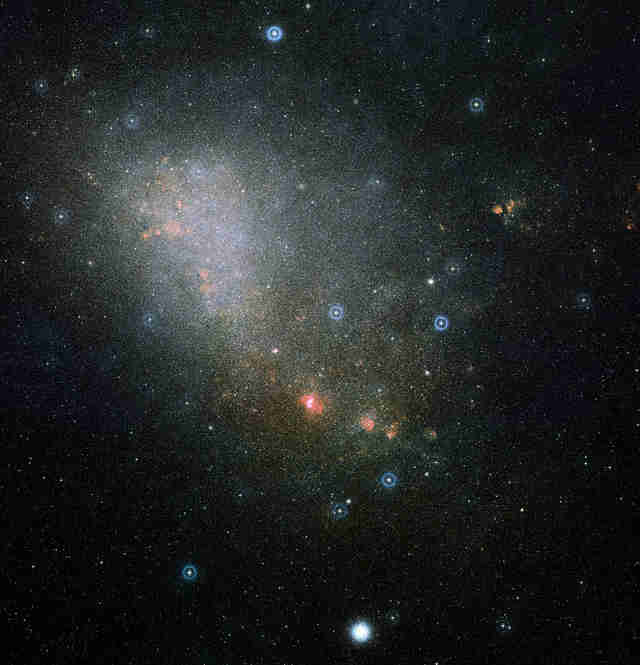 Astronomers have published photographs of colorful gas and dust strands left behind by a supernova found within the constellation Tucana, the toucan, located 200,000 light-years from Earth. 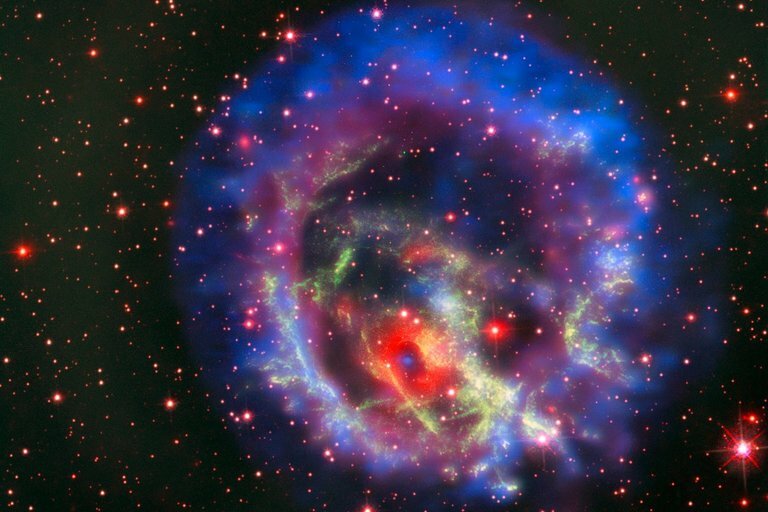 Just like living stars, neutron stars can vary in strength. And the one hiding in these vibrant clouds was tricky to confirm because observations indicated it had a low magnetic-field strength. This means the neutron star radiates only at X-ray wavelengths and not at other detectable wavelengths along the electromagnetic spectrum. 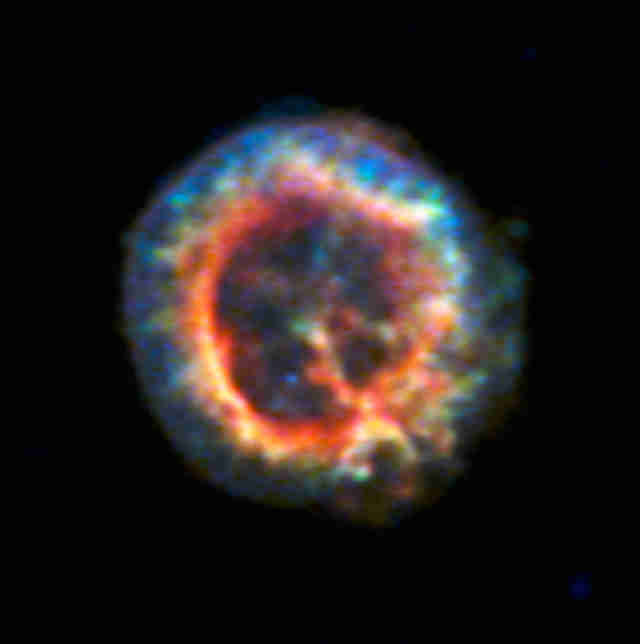 And while p1 initially appeared to emanate from the middle of the ring of gas that the team was studying, it was initially unclear if this neutron-star candidate was at the center of the ring or farther behind it. An instrument called MUSE (Multi Unit Spectroscopic Explorer) on the Very Large Telescope helped the team confirm what turned out to be an exciting finding.